Awesome Auto Glass Mobile Service Houston auto glass repair and replacement has been our specialty for the last 21 years in Houston Areas. Awesome Auto Glass can work with you with the best quality and prices for you for Houston auto glass replacement. 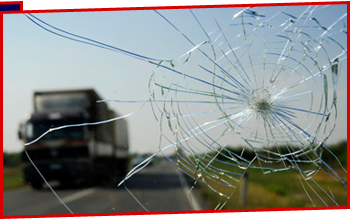 Awesome Auto Glass is committed to providing you with fast and affordable services. Save time and money with your windshield or any glass repair on your automobile. We have been providing quality auto glass repair in Houston for over two decades and we always make our customers feel like family. We make sure to get your repairs or replacements done quickly, but also with high quality. Awesome Auto Glass is the best because we have over 21 years of experience, we provide the best prices, and we have the best employees working for you. We strive to exceed your expectations so that the next time you have auto glass needs, weâll be your first call! Copyright 2012: Awesome Auto Glass | Mobile Auto Glass Houston | All rights reserved. Whether it`s replacement or repair, call us at (713) 826-9203 for more about mobile auto glass in Houston. Don`t worry about calling company after company or going from garage to garage to get your quote give us a call here at Awesome Auto Glass and we will come to you at your work, home, or anywhere that`s convenient for you. We have a passion for doing quality work. Thereâs no easier way to get your glass work done, just call us for your free quote today, you wonât regret it! Y recuerda se habla espanol tambien.